The list of plants listed below contain a variety of poisons that cause different symptoms, ranging from skin rashes to kidney damage to death. This is not meant to be an all inclusive list. Please consult your veterinarian and poisonous plant books. Field Guide to Plants Poisonous to Livestock, Shirley A. Weathers, Rosebud Press, P.O. Box 270090, Fruitland, UT 84027-0090. 1998. The first field guide to poisonous plants in the western U.S., designed by & for livestock owners. Poisonous Plants of California, Thomas C. Fuller & Elizabeth McClintock, University of California Press, Berkeley, CA 1986. Great 443 page field guide of plants with color pictures and some drawings, index of common scientific names. Poisonous Plants. 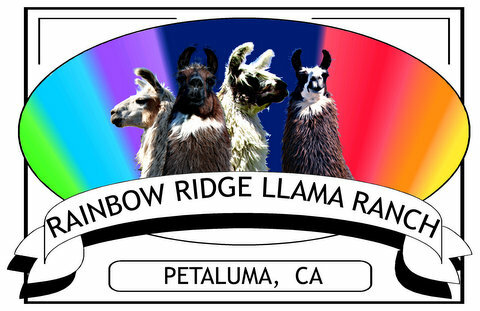 Mount Lehman Llamas, 29343 Galahad R.R.#1, Mount Lehman, B.C. 21 page reference booklet containing drawings & write-ups on a number of common plants. Caring for Llamas: A Health & Management Guide, Clare Hoffman,DVM & Ingrid Asmus, Rocky Mountain LAMA Association, 1996. A general llama care primer. Contains a section listing many poisonous plants within the USA. First Aid for Llamas and Alpacas, Murray E. Fowler, DVM & Audrey C. Fowler, Clay Press, 1995. A small, handy, most current reference for first aide issues. Small section with black & white pictures on plants. Medicine & Surgery of North American Camelids. Murray E. Fowler, DVM. Iowa State Press, 1989. Contains photos & covers poisonous as well as injurious plants. Dangerous Plants. John Tampion. Universe Books. Contains plant drawings & descriptions. Physician's reference of 432 pages with color pictures; makes a great field guide.